Ahhh, Edwards, you've created yourself quite the little treat, and somewhat affordable to boot (I think a little over a buck a piece isn't bad at all, but many have argued that a pan of brownies and a container of ice cream is a better deal). 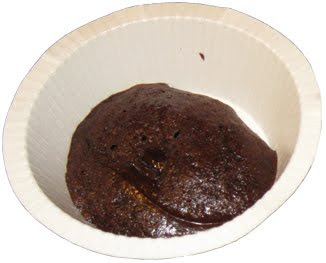 First I tried the pleasant Hot Turtle Brownie single. Next up was the respectable Hot Apple Crisp. Well, finally, we have the one you see in the commercials: Edwards Hot Fudge Brownie. Mmmmm, can't wait! Ok, it's opened up and ready for the microwave. Not the prettiest thing, but it's about to get covered anyway. There we go, the treat is ready!! There's only one problem: I ate this treat a month ago and never actually did the post. I think I remember thinking: "it's pretty good, but I like the turtle one better". 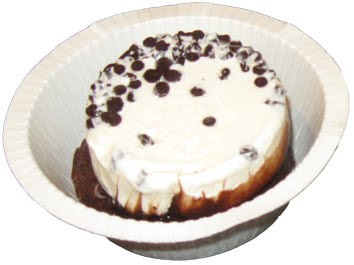 Since I had this treat I've had the awesome Ice Cream Desserts offered by Culinary Circle. It's night and day really. The positive here is that you get a hot brownie. The negative is that CC uses higher quality ingredients, but than again, CC is twice as expensive. It's your call, but if you're like me, you'll want to try them all. To make up for losing yet another review (I'll try harder I swear), I'd like to point everyone to edwardsbaking.com. Click on the learn more button at the top and then enter to win a $500 spa experience. Sure, you probably won't win, but you are guaranteed a printable $1 coupon good for an Edwards treat.